“Dyes Got the Answers 2 Ur ?s” is celebrating 35 years since the release of Prince's first studio album “For You,” with a series where we interview readers who have been fans since the beginning. 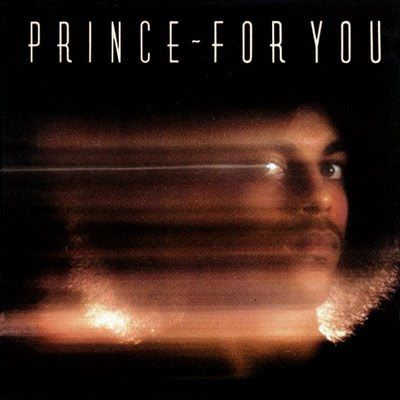 It all began when Warner Brothers Records released “For You,” on April 7, 1978, with the album's first single, “Soft and Wet” being released approximately two months later.
? : Tell me a bit about yourself. 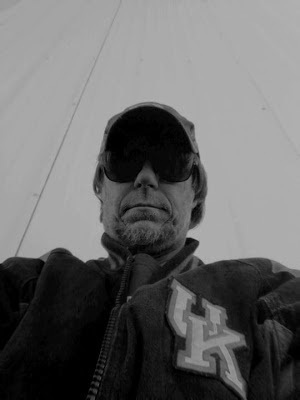 DS: I live in Somerset, Kentucky, about 75 miles from Lexington. I grew up on a farm in Kentucky. My father was a minister and I had eight brothers and sisters.
? : Do you remember you the first time you saw Prince or heard his music? DS: The first time I heard Prince, my friend had just gotten a new album (Prince's first album “For You”) and he wanted me to listen to it. It was captivating; it demanded your attention. I (later) bought the album when I went home. (Prince's) voice and (his) lyrics, were something different that set (him) apart from everybody else. It's not really something I can explain. You just couldn't wait to hear what the next song was going to (sound) like.
? : How many times have you seen Prince in concert? When was the first time? The last time? DS: The first time was in 1981. The last time-- I believe it was the same year that Diamonds and Pearls came out--was in Lexington, Kentucky. I know I've seen him (in concert) more than 15 times, (but), I 'm going say it's been about 20 times. You ain't seen nothing until you've seen Prince in concert.
? : What's your favorite Prince album and song? Your least favorite? DS: I've really liked all of them... But, if I had to pick one: Sign o' the Times. My least favorite album would probably be Planet Earth. I would say my favorite song is “Purple Rain,” I requested that it be played at my funeral. (The song's lyrics) are what I would say to my family when I am gone. I really don't have a least favorite song when it comes to Prince, but, if I did, it would probably be “Baby” from his very first album. That's a very difficult question.
? : What's your favorite Prince lyric? DS: It comes from the song “Free,” (from the 1999 album) let me think how it goes: “Be glad that you are free, there's are many a man who's not.” That whole song means a lot to me and really brings me down to earth. You get stuck on yourself, but, there are other people in the world besides you and there are people who aren't free. (That song is) never outdated.
? : Have you ever met Prince or gotten close to him? DS: I always thought if I got close enough to him I would just shake his hand. I went to see him in concert the year Diamonds and Pearls came out (1991). (After the concert) I walked in the back of the arena and he was coming out. I was walking toward him and I was going to shake his hand. But, they (Prince's security guards) surrounded him. I looked at him and he just nodded at me. We kind of made of eye contact, he nodded and I nodded. He grinned and I grinned.
? : Who is your favorite associated artist? DS: I like Sheila E., Wendy and Lisa, Cat—but, I would lean toward Wendy and Lisa.
? : Did the fact that Prince was often considered “controversial” have any appeal for you? DS: I think Prince gets a bad rap. A lot of people don't understand him. He's under a microscope. The critics are watching him and there are millions of people watching. He stands on what he believes in. He doesn't care about what the critics and the rest of the people say (about him).
? : How has being a Prince fan influenced your life? DS: The example of his life taught me not to worry about what other people think and to be who I am. If (people) don't like me, it's their problem, not mine. (Prince) stands on what he believes in. He has more pressure on him than I'll ever have. He gets criticized for this and that, but, (people) don't know his inner workings. Sometimes, when I'm down, his music can lift me up.
? : How do your friends and family feel about you being such an avid fan? DS: Well, to be honest, it's actually made them Prince fans. At first they could take it or leave it. But, after a while they would get excited as I got. They are (fans) now, but, they weren't in the beginning.
? : Why do you think you've been a fan for the last 35 years? DS: It's hard to put into words, but, I'll do the best I can. He always gives you something unexpected in each era of his music. You do more than just listen with your ears: you listen through your heart; your mind; your soul. It (his music) just touches you in a way that other people's music can't. His music just makes you feel good about yourself.
? : Has Prince done things that you, as a fan, did not understand? D.S. : I think Prince had people around him that weren't looking out for him. Not all of them, but, some of them. 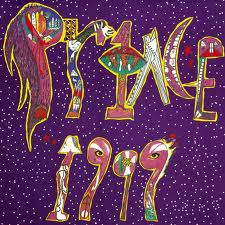 One thing I also didn't understand was why Prince made Troy Gua (a Seattle-based artist) stop making the little guy (Le Petit Prince). (Gua) was bringing a whole new generation of fans to Prince. I know a few people that saw Le Petit Prince and it made them go out and buy Prince CDs. (They) didn't know his music before.
? : What are you looking forward to as a fan this year? D.S. : I'd like to see a new CD come out. I'd like to see more concerts, a worldwide tour. I'd like to see him another movie. I really would.
? : What would you say to fans who have recently discovered Prince? DS: I'd say, go back to the beginning and listen to his music all the way down to really understand him. If not, it's like you're walking in on the middle of the movie and you don't really know what's taking place. Go back to the start if you want to be a Prince fan for life—and watch his movies, he has some great movies. Also, don't believe everything you hear about Prince, because, a lot it isn't true. Just listen to his music and don't believe anything about him unless it comes out of his mouth. There has never been another like Prince and there will never be. He is a once-in-a-lifetime deal. Lead photo courtesy of Donnie Stearns. Like us on Facebook: Dyes Got the Answers 2 Ur ?s and Beautiful Nights.